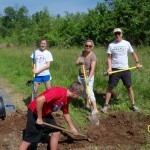 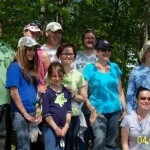 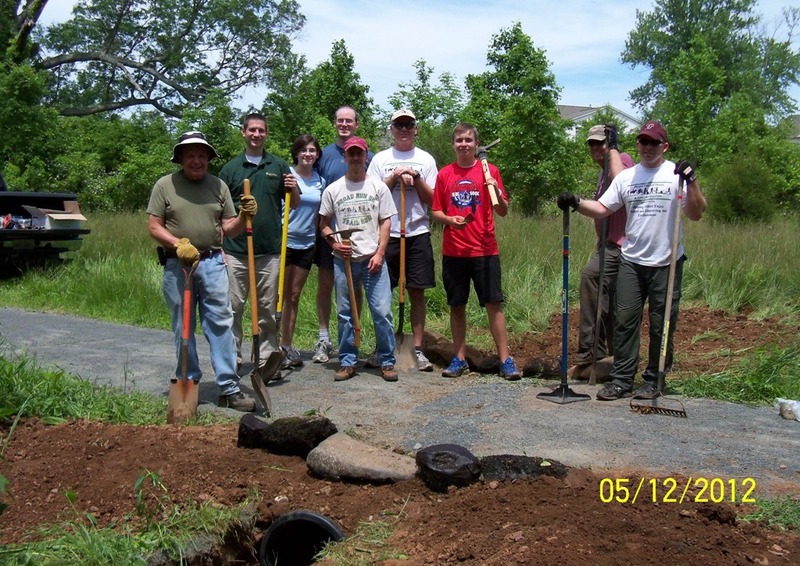 On May 12, 2012 PWTSC volunteers reinforced the Broad Run Trail through Braemar by installing culverts to prevent the newly-laid stone dust from washing out in the rain. 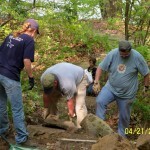 Park Authority staff had delivered the culverts to the site, and the twelve volunteers (including Mike DePue from the Park Authority) put them in. 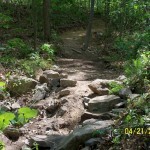 Over the winter months, Park Authority crews had improved the trail by placing crushed stone on the trail as a foundation and surfacing it with stone dust. 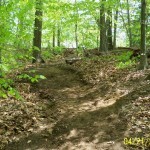 Spring rains revealed locations where run-off concentrated and had begun to wash out the new trail surface. 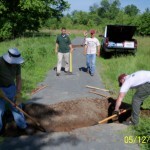 The culverts will help to prevent further washouts and keep the trail in good condition. 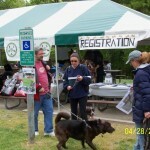 The Dog Walk event in Lake Ridge on April 28 drew about 160 human participants with 180-190 dogs. 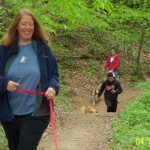 Dog walkers and other supporters contributed $2,694 to the fund for the new dog park, to be located on Minnieville Road. 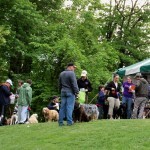 The event was sponsored by PWC Dogs, a volunteer group working to raise funds needed to open the planned dog park. 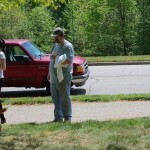 Participants in the Dog Walk gathered at Lake Ridge Park. 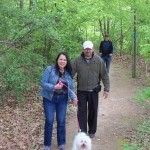 For some, it was their first visit to the Park; for others already familiar with the Park, it was their first opportunity to walk the trail along the Occoquan Reservoir. 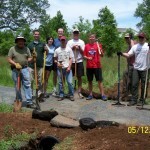 The 2.75 mile route included the new connection between the reservoir trail and the blacktop sidewalk along Hedges Run Drive, which allows walkers, runners or bicyclists to complete a loop starting and ending in Lake Ridge Park. 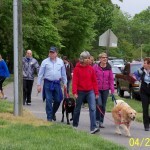 Thanks to the Park Authority for hosting the event – it was a busy morning at the Park with the Dog Walk, crew team activity, and normal Saturday morning activity at the golf and marina facilities. 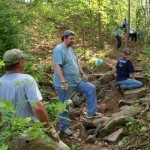 Volunteers completed a new trail in Lake Ridge on Saturday morning, April 21, in preparation for the Dog Walk event to be held April 28, 2012. 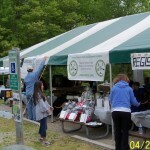 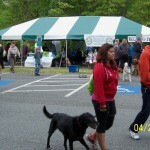 The Dog Walk is a fundraiser for the new dog park which will be located on Minnieville Road. 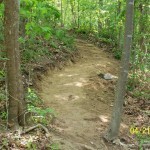 The new trail segment connects the existing trail along the Occoquan reservoir with Hedges Run Drive, and makes it possible to complete a 2.75 mile loop, starting and finishing in Lake Ridge Park. 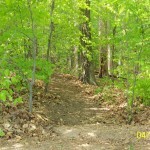 The route includes natural surface trails and blacktop sidewalks along the street. 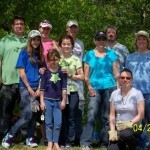 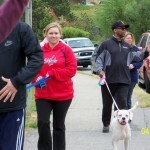 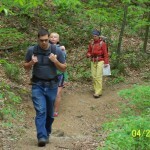 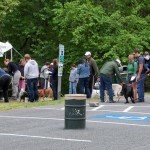 Volunteers from the PWC Dogs group and the Prince William Trails & Streams Coalition participated. 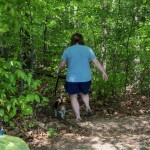 Just as soon as we finished working, a nearby resident decided to try out the new trail!